After two years of development, Detroit manufacturing brand Shinola today announced the Canfield Headphone Collection, which joins the Runwell Turntable and Bookshelf Speakers in the company’s audio lineup. Shinola’s in-house team tuned and engineered the Canfield Collection with high-quality materials, finishes, and processes to create a personal listening product with “rich, warm, and expansive” sound. The new collection will consist of four styles: Canfield Over-Ear, Canfield On-Ear, Canfield Pro In- Ear Monitor, and Canfield In-Ear Monitor. All of the offerings will be available in Shinola stores, online, and at select domestic retailers. The Canfield Over-Ear headphones were acoustically tuned by sound engineers and tested in Shinola’s Detroit factory. They utilize a 50-mm dynamic driver with a neutral frequency response and features stainless steel components, interchangeable lambskin ear cushions, a top grain leather headband, and an in-line microphone. 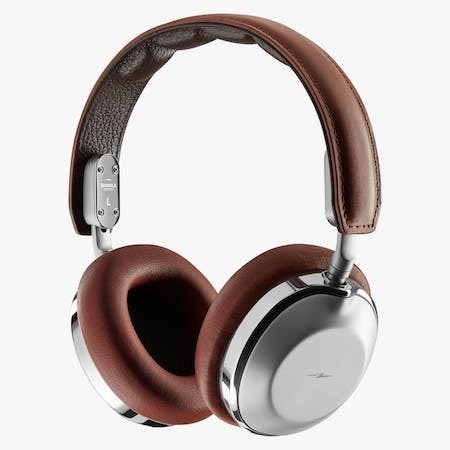 The Canfield Over-Ear is available in black and cognac and retails for $595, while the Canfield On-Ear headphones in black retails for $650. Similarly, the Canfied Pro In-Ear Monitors were developed and tuned in partnership with Campfire Audio in Portland, and are powered by a quad balanced armature receiver. The Canfield In-Ear Monitors were also developed and tuned at Campfire Audio and were designed to be comfortable enough for hours of use. The headphones feature memory foam, silicone ear tips, and a dynamic driver designed to pull nuance from the music. The headphones retail for $495 and $195, respectively. All four headphone styles will be available by December.